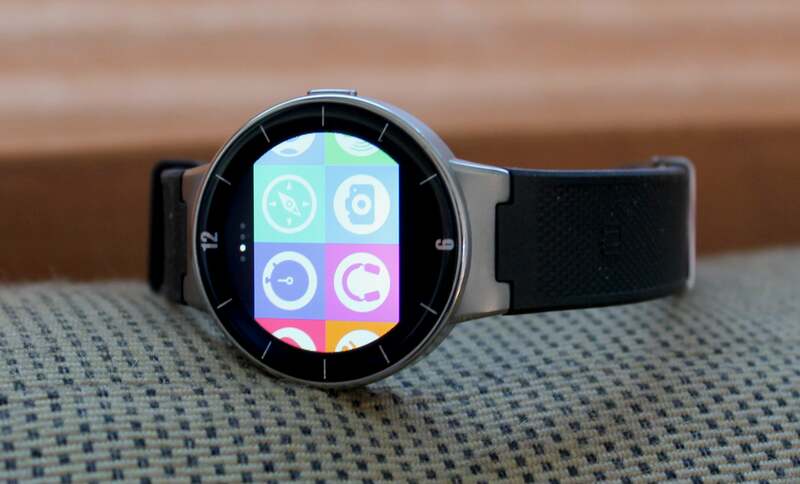 The Alcatel Onetouch Watch isn’t snazzy-beautiful, and it’s not packed with features. 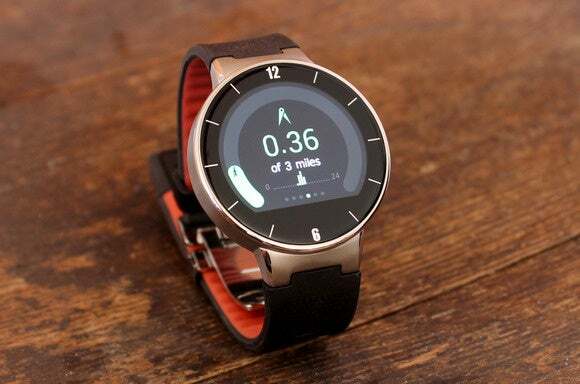 But at only $150, it’s one of the cheapest smartwatches you can buy—and that might seal the deal if you’re merely smartwatch-curious instead of smartwatch-confirmed. It’s sort of like a clip-on tie, or a Barbie bike with training wheels. Consider it Baby’s First Smartwatch, a disposable purchase that can that give you a taste of what a $350 Apple Watch or $300 Android Wear watch is like to use. Do you even want smartphone notifications on your wrist? What about simple activity tracking? The Alcatel Watch—which pairs with any iPhone from 4S to 6 Plus, and any Android phone running 4.3 and later—can put you in the smartwatch game without a major investment. The built-in weather app reveals just a rudimentary local five-day forecast. Alcatel’s metal case is unremarkable but inoffensive, and from 10 feet away, its circular design doesn’t read “nerd” as loudly as the square-shaped Apple Watch. But once you get up close and see Alcatel’s cheapo rubber band, the design belies its price tag. You can’t swap in your own replacement band, because Alcatel integrates its charging point directly into the strap. On the plus side, the watch powers up via a standard USB connector, so you’ll never need to worry about proprietary charging cradles. Alcatel claims between two and five days of battery life, and I found the watch lasted well into three days at its medium brightness setting. 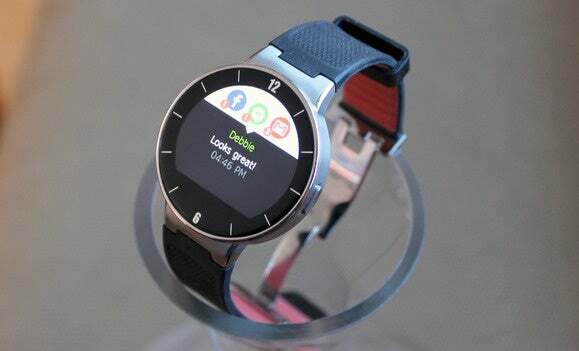 The Alcatel Watch powers up via a traditional USB interface, saving you the heartbreak of propreitary charging cradles. Smartwatch displays are just too small and fiddly to comfortably support a lot of features. Samsung tried to pack too much into its original Galaxy Gear, and I fear Apple is following that same over-ambitious path with its watch. And then you have the Alcatel Watch, which doesn’t run any third-party watch apps, and offers very, very little in terms of smart features. 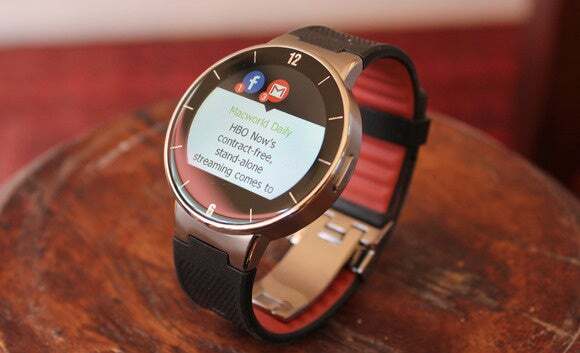 You get notifications for a small set of smartphone apps (e.g., Twitter, Facebook, email and messaging); caller ID with call accept and decline functions; entry-level activity-tracking features; and a small set-of built-in apps that are essentially table stakes in the smartwatch game. I dig smartwatch simplicity, but Alcatel’s approach feels underbaked, especially because trivial, lightweight utilities like a brightness selector and airplane mode switch are given just as much U.I. weight as built-in weather and activity-tracking apps. The menu of built-in apps mingles somehwhat serious fitness-tracking apps with one-trick ponies like a remote camera control. Alcatel’s notification engine provides only a bare minimum of utility. Text messages render in full, but you can’t reply to them from the watch, even with a canned, pre-formatted message. Facebook notifications merely report the highest-level activities (e.g., a friend has commented on your status), and email notifications only render subject lines once you have a few stacked up. And you can’t tap a notification to spawn more information on your phone. Bummer. 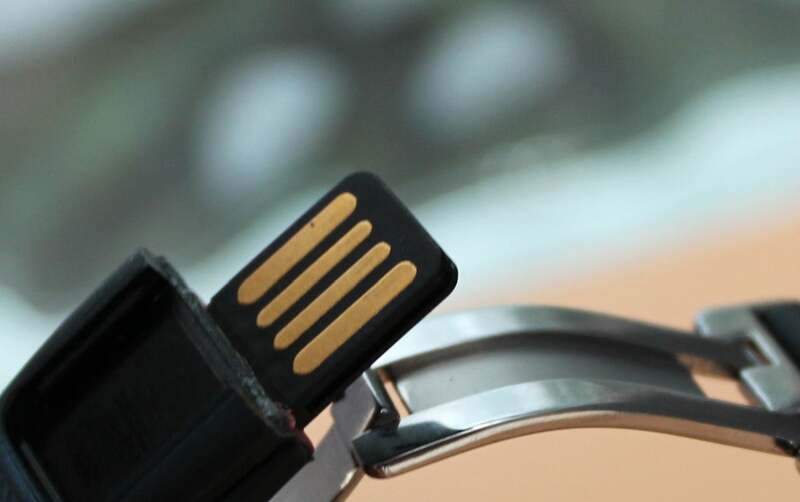 Activity-tracking data is thin. But maybe that’s all you want or need? Other built-in apps include weather (which shares a simple five-day forecast); a heart rate monitor (good for only moment-in-time spot checks); a stopwatch (meh); and remote controls for your smartphone’s music player and camera shutter (meh and meh). Your granddad may think all of this is magic. But your granddad was also the last man on earth who still shopped at RadioShack, so consider the source. Indeed, the Alcatel Watch often feels like the $19.99 remote-control car of the smartwatch scene. The watch’s 1.22-inch display is bright enough in direct sunlight, but has a “dead” area at the bottom, just like you’ll find in the Moto 360. It makes for an inelegant presentation, but Alcatel uses the dead spot for a back button, which you’ll need to exit the notifications screen, as well as built-in apps. The U.I. responds quickly enough, and it’s relatively intuitive—because it doesn’t have much to do. Sadly, you can only read text messages. Replies are off the table entirely. Swipe upward to see notifications. Tap the center of the screen to launch the app menu. Tap the back button to exit out of anything you’ve entered. It’s all easy to master, but I never found a way to dismiss specific notifications entirely. They just disappear on their own after a while, and if there’s a way to manually control dismissal, it’s not shared in the Android and iOS app help menus. Alcatel’s “turn wrist to wake” motion performed inconsistently, forcing me to wake the display with a press of the watch’s physical power key. But that’s a problem with many smartwatches. I was more disappointed in Alcatel’s watchface customization. You get to choose from just three dial layouts (all unremarkable), and a selection of cheesy wallpapers. The aesthetic vibe is miles behind Android Wear, and light years behind what we’ve seen from Apple. Industrial design isn’t offensive. It’s just not remarkable—in any way. After five days of testing, I found myself appreciating Alcatel’s battery life, but not much else. I much prefer Android Wear’s robust notification engine, and while I’m concerned Apple’s approach will be too busy and complex, I’m excited to try out all its surprise-and-delight Digital Touch features. 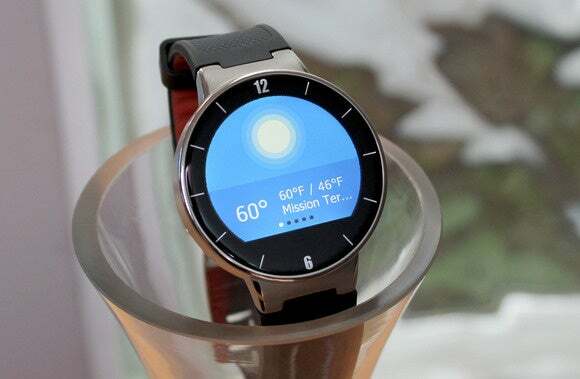 With entry fees for the Android Wear club now hitting $165 for the Moto 360, I can’t recommend the Alcatel Watch for Android phone users, unless they’re absolutely sure they want nothing to do with Google's always-connected vision. But the Alcatel might be an interesting choice for iPhone users who want a low-commitment taste of what smartwatch notifications are all about. And who knows, if the Alcatel Watch drops below $100, it might be just too cheap to pass up—assuming aesthetics and deep functionality just aren’t your thing. It's not a great smartwatch. It's not even a good smartwatch. But it will put notifications and activity-tracking on your wrist, and give you an idea of what smartwatches are all about. Easy charging. Long battery life (for a smartwatch).